Sales of recreational cannabis in the U.S. alone stands at $11.6 billion. And over 670,000 marijuana-infused products are sold in Colorado alone! Start your blog today with a special CanaBuds discount from Bluehost. Only $2.95/mo with a free domain name and email address. You can’t beat this offer! So how do you get your piece of the pie? Let’s explore your options. In North America, cannabis sales climbed 30 percent to reach $6.7 billion. By 2021, the marijuana market would have reached $20.2 billion at a CAGR of 25 percent. Meanwhile, Greenwave Advisors project the cannabis market to reach $30.1 billion by 2021. With the growing market for cannabis, cannabis products, and services, businesses are using content marketing to reach their target audiences. You can offer designs, web development, app development, VA, writing, and other services on your site to businesses and websites in the cannabis space. When done right, advertising pays well. Native ads have a track record of success, performing 53 percent better than banner ads. And retargeting ads have generated up to 486 percent ROI. Contrary to popular opinion, advertising is NOT dead. Retargeted ads are popular these days – because they work! In fact, retargeted persons have a 70 percent chance of converting. You can generate revenue by running ads on your cannabis blog. Norml, one of the most prominent advocates of medical cannabis use, makes money from advertising. High Times is another cannabis news site that makes money from simple banner ads. Of course, you can use a combination of these adverting options. However, it’s best to keep ads as minimal as possible to avoid offending or distracting your site visitors. This type of monetization tactic is a form of referral business. You could refer people cannabis farmers or other offline companies. Just like Norml, you can get businesses and organizations that support your course pay you monthly in exchange for keeping a profile on your site. Only 17 percent of small businesses in the U.S. are selling their products online. Meanwhile, over 80 percent of internet users buy things online. You have an advantage here of earning money by recommending businesses. If you have T-Shirts or stickers or some other merch, you can make money selling them on your blog if you have a large audience base. High Times gives their shirt for free if you subscribe to their magazine. You don’t have to spend money creating your merchandise! Use services like CafePress and Zazzle to sell your merch. You’d find merchants selling mugs, t-shirts, pendants, curtains, and more on CafePress. Master Bong sells merch to his readers. High Times organizes events. You can host your events or sell tickets and bookings for other people who hold events that are contextual to your cannabis blog contents. Your events don’t have to be physical. You can organize webinars, and this can be held live, or you’d record and avail it on your site. Most webinars are free. Luckily, you can monetize your event in many ways. You can sell the recording of the webinar (video, audio or transcript). You can sell access to an exclusive webinar to discuss topics that your audience want to hear more about, after the free webinar. You can also offer your products, merch, and services after the free webinar. Physical events have many benefits. You can build long-term relationships with attendees and connect people with like interests. Meetups are great if you like bringing people together. In 2016 alone, pot consumers spent $6.9 billion on legal cannabis products, and that number is expected to climb to $20 billion in 2021. In fact, nearly 60 percent of all U.S. population reside in cities where cannabis use is legal – that’s over 180 million people. If you have a product made from or for cannabis, then sell that on your blog, but if you don’t have a product of your own, sell other merchants’ products. You could sell products as an affiliate marketer or have a JV partnership agreement. Natural and non-GMO cannabis products, like CBD Oil from Try the CBD, are coming to market now. These cannabis products need marketing and awareness, and many of them are offering reseller opportunities. The estimated size of the hemp market stood at $688 million in 2016, a 20 percent increase over 2015 figures. Personal care products valued at $163 million, CBD products at $130 million, and foods at $129.3 million. You can get paid to write posts, reviews, or press releases on your cannabis blog. Depending on how large your site is, you could charge anywhere from $500 to over $5,000 to write sponsored posts. Even for a small site with a tiny audience, you can get paid some money to post on your blog. As long as you get targeted traffic to your blog, you can command $50 to $200 to post on your site. Master Bong runs reviews on his blog. He covers cannabis products of different kinds from different makers and gets paid to write exclusive posts about them. In 2017 publishers will generate more than $6 billion from branded content (i.e., sponsored content), and that number is predicted to hit $20 billion in 2021. Sponsored content has a 35 percent growth rate covering the five-year period concerned. Businesses report seeing 83 percent lift in their brand due to sponsored content. In fact, The Atlantic says that 60 percent of its profit comes from sponsored content only. Sponsored content is succeeding because it removes the resistance people have against traditional advertising. If you produce a lot of valuable content that helps your readers they’d feel compelled to donate. If your cannabis blog promotes the legalization of pot and educates people on its use, you can ask for a donation as Norml does. When implementing this monetization tactic, remember to ask for a specific reason. Giving a particular reason for asking your donation raises your chances of getting the money by 200 percent. You can collect donations using PayPal’s Donate button. A word of caution here, do not give prod your readers for donations. This monetization option is an excellent supplement to other monetization avenues. 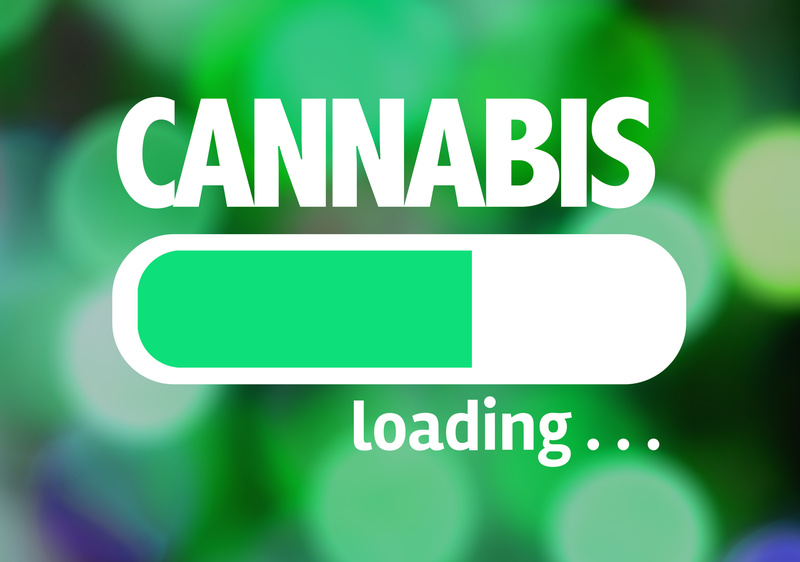 A functioning cannabis blog is no mean feat. From the sweat that goes into setting it up and running the blog, to the social resistance you might face initially, this isn’t some soft work. However, once you’ve done the heavy lifting, you can monetize your blog in many ways. You can sell more than one thing, and you can even make money with a combination of the monetization options I discussed here. Even if money isn’t enough to motivate you to start your blog, you have other reasons to launch your cannabis blog. Making Money Off Your Cannabis Blog	Overall rating:	0	out of 5 based on 0	reviews.